Register for These Hands-on Classes Before They’re Full! It’s your lucky day! It’s not too late to register for these hands-on continuing education sessions offered at the AMTA 2017 National Convention. Earn 18+ CE credits at the AMTA 2017 National Convention, September 14-16 in Pasadena, California! 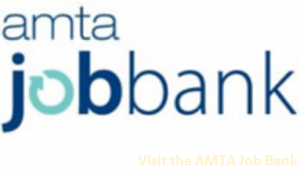 Rest assured knowing that AMTA continuing education is rigorously vetted, NCBTMB-approved and submitted for state approval. 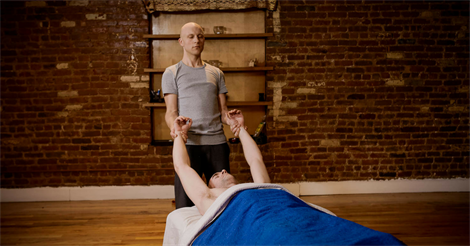 The physical and emotional demands of being a massage therapist can sometimes be overwhelming, resulting in burnout. Burnout symptoms can include fatigue, diminishing joy, loss of confidence or injury. 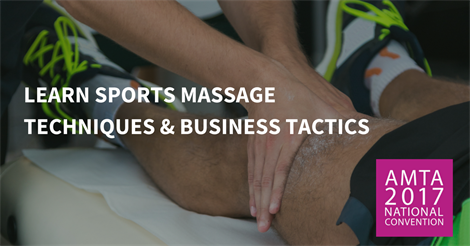 Sports massage is a fast-paced and fulfilling career path, with client opportunities ranging from professional sports teams to weekend warrior athletes.